A seat is provided here just for reflection. 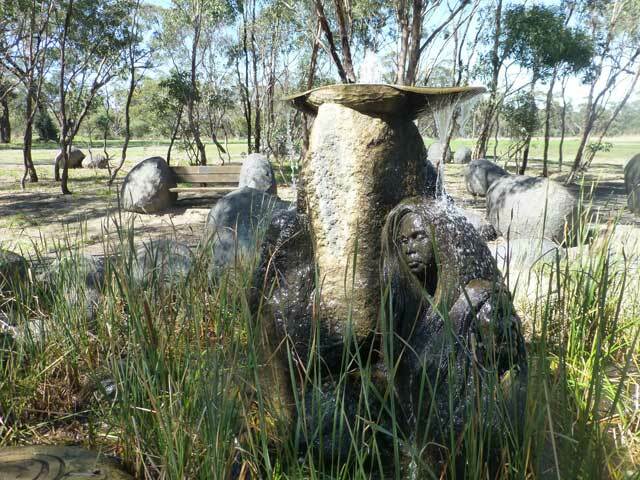 The fountain is a memorial to the “Stolen Generation“. At the top is a carrying dish called a Coolamon and it represents all the babies and children taken from their parents on the presumption they would have a “better life” in white man’s culture. The faces represent all the family members mourning the loss of their children and the flowing water represents the tears which flowed from everyone affected.